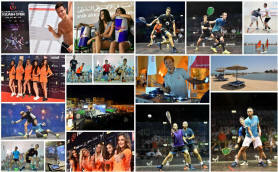 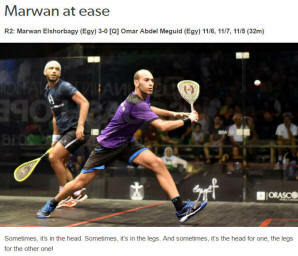 The final session of play at the Movenpick was the shortest of all, with all of the four matches finishing in under an hour. 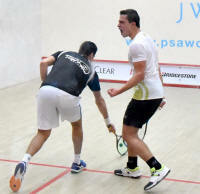 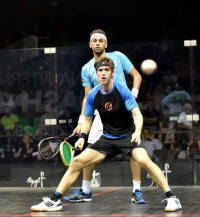 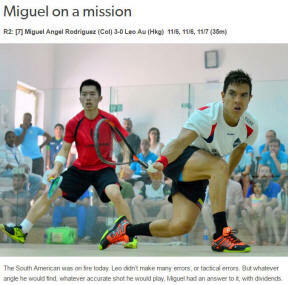 Miguel Rodriguez was first into the quarter-finals, the Colombian simply irresistible in today's match against Leo Au. 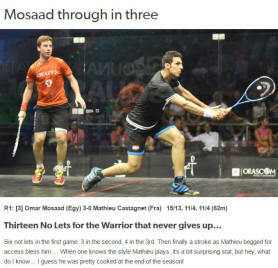 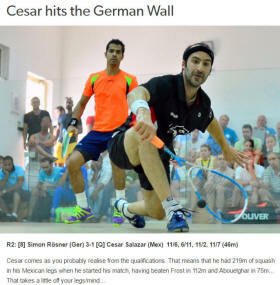 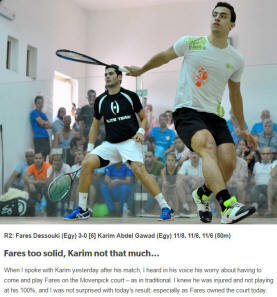 Simon Rosner ended the run of Mexican qualifier Cesar Salazar in four games, then it was two unexpected Egyptian winners as Fares Dessouki scored a tremendous straight-game win over sixth seed Karim Abdel Gawad and Ali Farag went through as fifth seed Tarek Momen retired injured. The evening session at the Marina started with promoter Amr Mansi announcing that the prize fund had been raised by $25,000 to $175k! 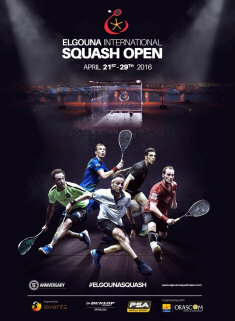 On court the session also produced relatively short matches, with three Egyptians - Mohamed and Marwan Elshorbagy and Omar Mosaad - and second seeded Frenchman Gregory Gaultier all winning in straight games. 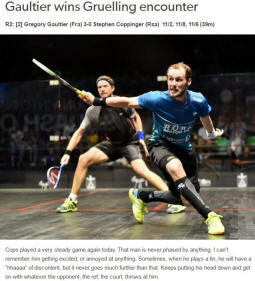 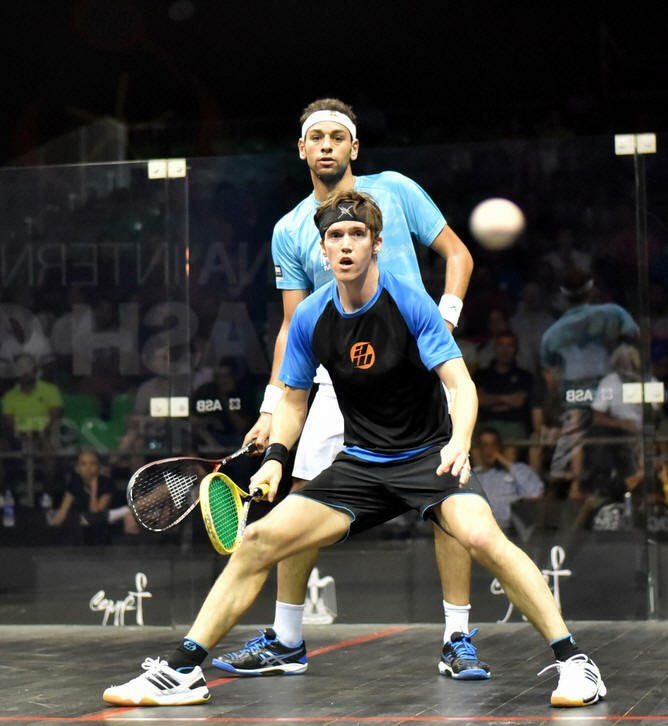 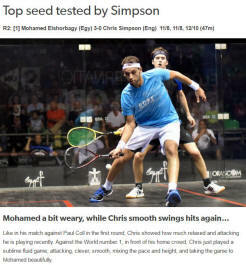 It wasn't quite that straightforward, Shorbagy senior having to fight from behind in the second and third games against Chris Simpson in the first match and Gaultier struggling with the humid conditions at the end of the night.